This year marks the 20th anniversary of Aikido Yuishinkai, we held a gathering of instructors from Australia, England, Germany, Italy, and the Netherlands to commemorate the occasion. In February this year, I named Peter Kelly from Australia, and Martijn van Hemmen from the Netherlands as International Instructors. Naturally, these 2 came to Japan to attend the commemorative party, which gave me the opportunity to strengthen the bonds between us through the modern-day equivalent of the oath of the peach garden from the Romance of the Three Kingdoms (an ancient Chinese legend). This oath establishes the 3 of us as sworn brothers, and we swore to face whatever adversity comes our way together, and never to betray each other for the rest of our lives. Around the world, it is said that the founder was a disciple of Sokaku Takeda and that Daito Ryu Aiki Jujutsu was the precursor of aikido. It is also said that he was a devout follower of the Omoto religion. These are all lies. I heard this directly from the founder, and I confirmed it by reading through a number of different materials. 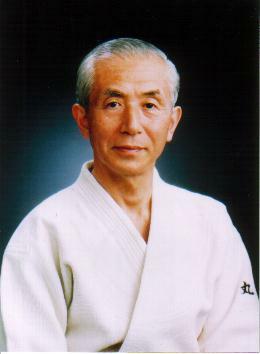 Firstly, the founder said “the gods taught me my budo.” This is the truth. Also, the techniques that the founder liked to study more than any others were those of the Kuki fleet (in short, they were pirates), which was based in Wakayama prefecture. Their style became known as Kukami Shinryu, and they worshiped the guardian deity of the Kuki clan, known as Amenomurakumokukisamuhararyuo. The last 2 characters (ryuo) mean dragon king. Dragons move freely throughout the water, so this is clearly appropriate for a naval fleet. By the way, Ayabe, which is the capital of the Omoto religion is within the territory of the Kuki clan, and the Omoto religion and the Kuki clan use the same 9-starred crest. Also, the Iwama shrine in Ibaraki Prefecture, which was built by the founder, honours Amenomurakumokukisamuhararyuo, and the first custodian of the shrine was a nobleman of the Kuki clan. The Kojiki is a manuscript written in 702 AD by the shaman Hieda no Are who served the emperor, Tenmu, in the imperial court. This text records the truth behind mythology. Although some people say that this text focuses on the emperor in order to maintain his legitimacy, I have no time for people with such an extremely narrow minded point of view. Firstly, the Kojiki tells us that the Japanese characters “武” (martiality) and “舞” (dance) have the same meaning. Both of them are offerings to the gods. The audience at traditional Shinto dances is the gods. In Kyoto, there is a temple called Kiyomizu Temple, and the audience for the Kiyomizu Stage, which juts out over an embankment comprises only the Eleven-faced Kannon Bosatsu, which is the deity worshipped at the temple. What true budo does, is it removes our impurities (kegare) and returns our spirits to a state of innocence, like when we were newborn babies. According to the Kojiki, all things began when Lord Izanagi escaped from the netherworld, and purified himself (performed misogi harai) in the waters of the Tsukushi no Himuka no Tachibana no Odo no Awagihara river. When Izanagi washed his left eye, the sun goddess, Amaterasu, was born. The moon god, Tsukiyomi, was born from Izanagi’s right eye, and Susanoo was born from his nose. Izanagi threw away his impurities. Western martial arts involve kicking and punching, but Japanese martial arts focus on “throwing.” This comes from Izanagi’s actions. When we are thrown, our impurities die for a moment. This rids us of our impurities (kegare wo harahi kiyomeru). In Japanese, words have hidden meanings behind their sounds. Although much of the meaning is lost in English, I will go through the hidden meanings behind “kegare,” “harahi,” and “kiyomeru,” below. Kegare refers to “withering ki.” The “ha” in “harahi” means either “mother” or “leaf.” Mothers give life, and leaves take in carbon dioxide and produce oxygen. The “ra” indicates the plural form of a word in Japanese, and in this instance it means plenty. The “hi” refers to the soul, and is sometimes read as “i.” In short, “harahi” means life. “Kiyomeru” means “to summon ki.” In other words, we are creating new life and summoning fresh ki. In aikido, we are thrown. By taking ukemi, we are stripped of our imperfections, and when we stand up, we become like an innocent baby, or to put it another way, we become like the gods. In today’s world, people have great egos, and spend all their time fighting. They want to win. They love to compete. At the Olympic Games, athletes will do anything to win, even resorting to doping. Top-class athletes even become involved with gambling. At the extreme end of the spectrum, there are even parents who mercilessly kill their own children for being too noisy. There are even children who kill their parents. These are cases of one impurity piled upon another. Now, more than ever, we need the founder’s ideal of martial arts that bring people together (musubi no bujutsu). Aikido is a system that allows people to do what they need to do in order to live and grow in a righteous manner.